Advanced stages of pancreatic cancer are often fatal and approximately 5 percent of those affected will be alive 5 years after the diagnosis, per the National Pancreatic Cancer Foundation. The MIA PaCa-2 epithelial cell line was initially isolated in 1975 using pancreatic tumor cells of a 65-year-old Caucasian male patient with pancreatic adenocarcinoma. MIA PaCa-2 is a hypotriploid cell line that has a doubling time of nearly 40 hours. A 2017 study by Shiomi et al. published in Anticancer Research, investigated the anti-tumor mechanism of Z-360, a gastrin/cholecystokinin-2 receptor (CCK2R) antagonist, in MIA PaCa-2 cells and the MIA PaCa-2 subcutaneous xenograft model. These findings indicate that Z-360 significantly decreases the tumor weight and suppresses the expression of anti-apoptosis factors such as survivin, XIAP and Mcl-1. Moreover, the combination treatment of Z-360 and gemcitabine was shown to be more effective. 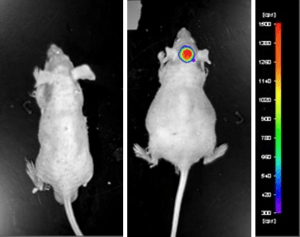 A 2012 Anticancer Research article by Yoon et al. used the MIA PaCa-2 cell line to evaluate YM155, a suppressor of the anti-apoptotic regulator survivin, in combination with gemcitabine. Results demonstrated that gemcitabine treatment resulted in an up-regulation of survivin and that combination therapy with YM155 resulted in enhanced chemosensitivity. In 2011 Nature published a study (Andrieu et al.) which used the Mia PaCa-2 model to investigate OGX-427, an Hsp27 inhibitor which had been used in other Phase II clinical trials for ovarian, breast, prostate and bladder cancer types. Results showed that OGX-427 treatment in cell and xenograft Mia Paca-2 models resulted in apoptosis induction as well as enhanced gemcitabine sensitivity, thereby providing a clinically relevant potential strategy for pancreatic cancer treatment. Finally, Schultz et al. released an Oncology Research study (1993) that used the Mia PaCa-2 xenograft model to evaluate then-novel anticancer agents including diarylsulfonylureas (DSU), taxol, Adriamycin, cisplatin, 5-fluorouracil and taxol, many of which are now well-known chemotherapy agents. The MIA PaCa-2 cell line (human pancreas) is used to create the CDX (Cell Line Derived Xenograft) MIA PaCa-2 xenograft mouse model. The MIA PaCa-2 xenograft model exhibits tumor growth inhibition and chemosensitization utilizing monotherapies or in combination (e.g. sulindac, LC-1, parthenolide, gemcitabine). Each mouse (athymic BALB/C or NOD/SCID, 10-12 w.o.) will receive a single injection (s.c.) into a hind leg. The injection contains one million cells (100 µL vol) of the Matrigel plus MIA PaCa-2 suspension. The injection sites are monitored until tumors are established. Tumors are then calipered until they reach 50-150 mm3. At this point, animals are randomized into necessary treatment cohorts. The test compounds are administered according to treatment schedule. Daily tumor measurements are logged. Mouse weights are recorded 3 times weekly. During the end of study necropsy, a list of customer defined tissues are collected. Tumors are excised from the animals during necropsy, then weighed and documented (digital imaging).